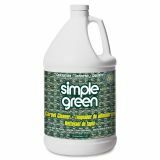 Simple Green Concentrated Carpet Cleaner - Carpet cleaner's professional-strength formula is the safer choice for carpet cleaning. The nontoxic formula contains no bleach or petroleum distillates commonly found in other carpet cleaners. Deodorizing as it deep-cleans, it removes heavy traffic marks and tough stains such as grease, coffee, wine, chocolate, blood and lipstick. Certified safe and effective by the Carpet and Rug Institute, this carpet cleaner also contains a special protection agent that helps maintain the stain-resistance already found in most carpets, rugs and upholstery. 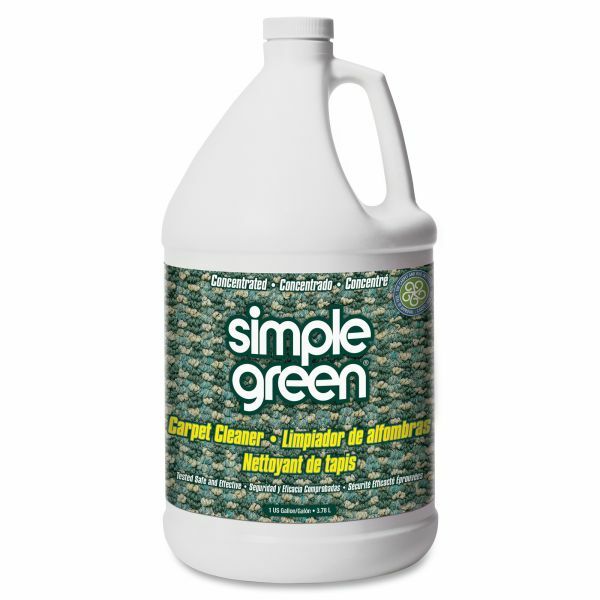 The clean-rinsing formula has no added color, making it safe for even the lightest of carpets. It can also be used to spot clean or in hot water extraction and steam carpet machines.